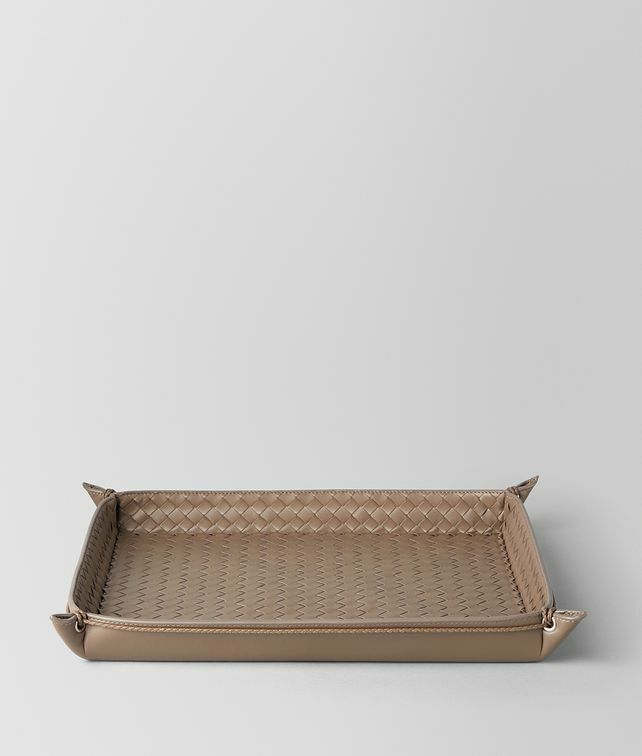 Flawlessly hand-woven from soft nappa, this letter tray features a sophisticated design. The corners feature metal eyelets and intrecciato ribbon. Depth: 28 cm | 11"
Height: 3 cm | 1.1"